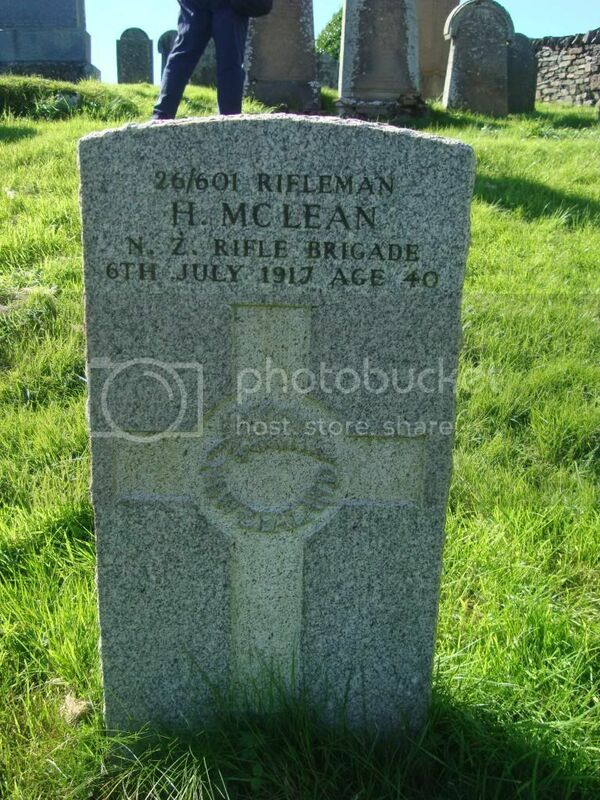 The Scottish War Graves Project :: View topic - Kilbrandon Old Churchyard, Kilbrandon Parish. Kilbrandon Old Churchyard, Kilbrandon Parish. 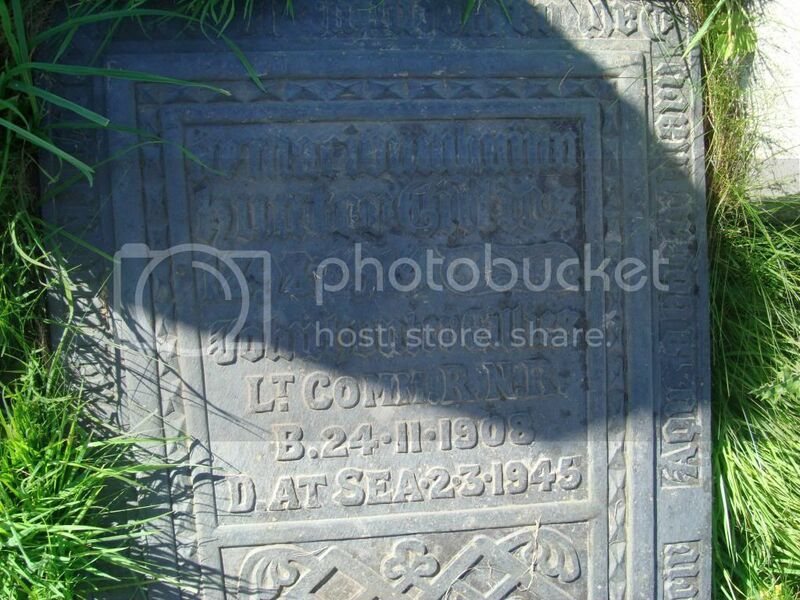 Posted: Fri Sep 13, 2013 11:33 am Post subject: Kilbrandon Old Churchyard, Kilbrandon Parish. The cemetery in a field near to the Civic Memorial which is 1 mile north of Luing Island Ferry on Isle of Seil. Lorn. No CWGC or SNWM details could be found. 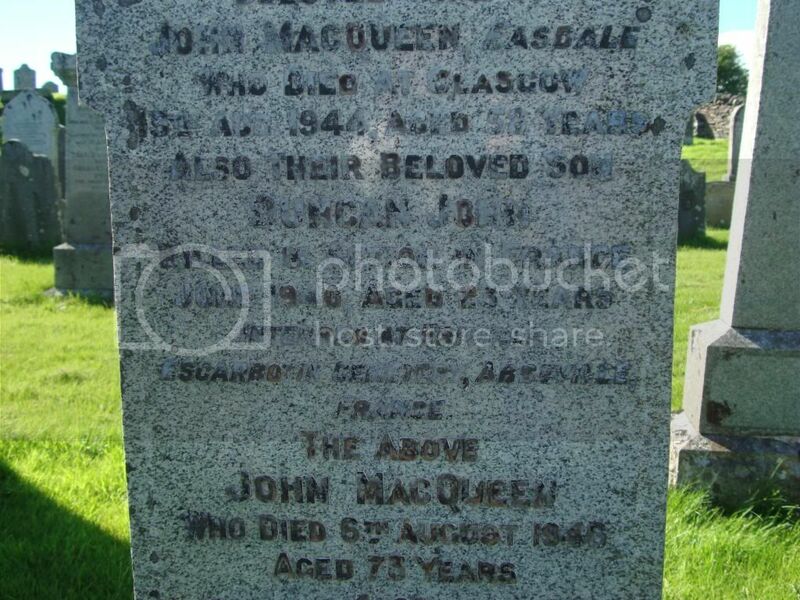 Son of John and Margaret MacQueen. Regiment/Service: Mercantile Marine H.M. Tug "Sonia." 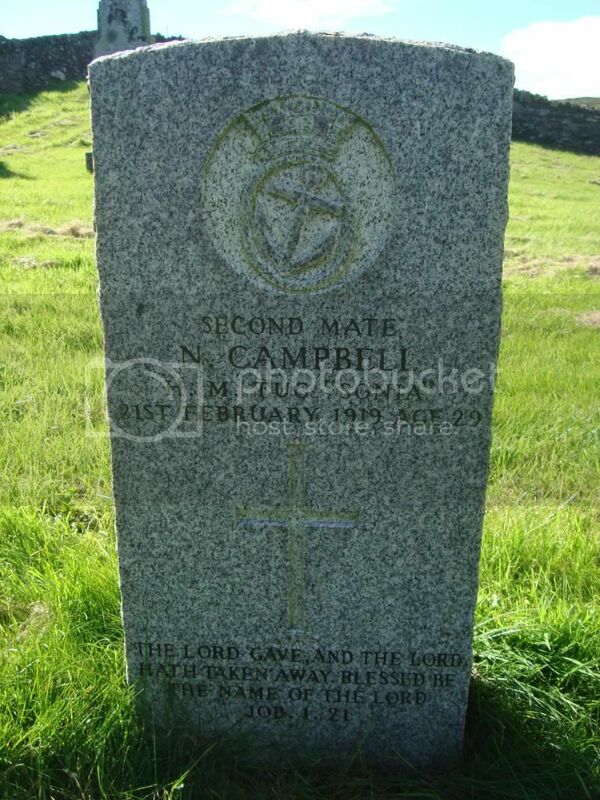 Additional Information: Son of John and Julia MacKay Campbell, of 34, Easdale, Oban, Argyllshire. 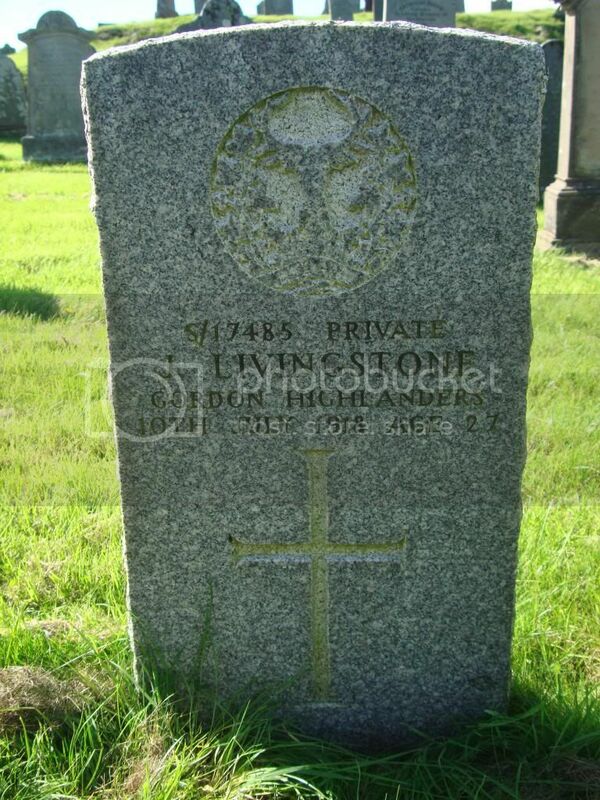 Regiment/Service: Gordon Highlanders 1st/5th Bn. Additional Information: Son of the late Duncan and Collina Livingstone. 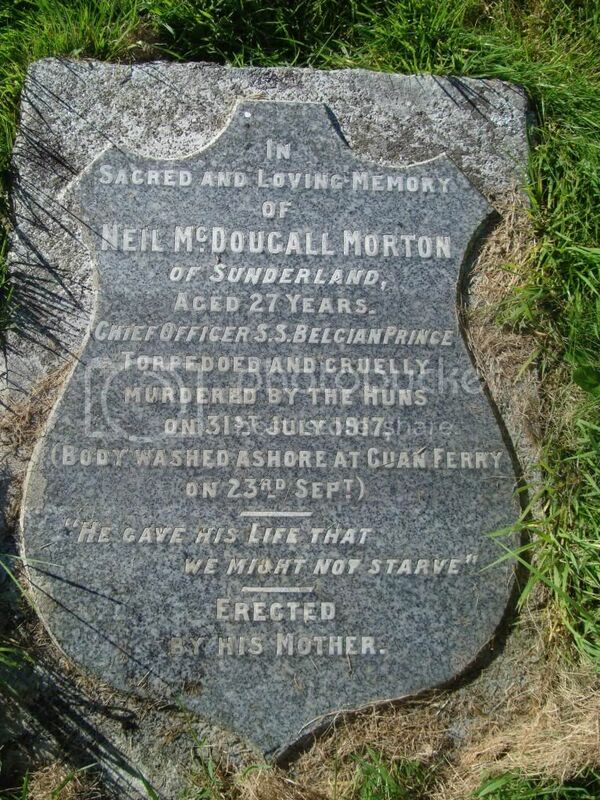 Additional Information: Husband of Jane Morton, of 15, Beechwood St, Sunderland. Additional Information: Son of the late Malcolm and Elizabeth McLean.